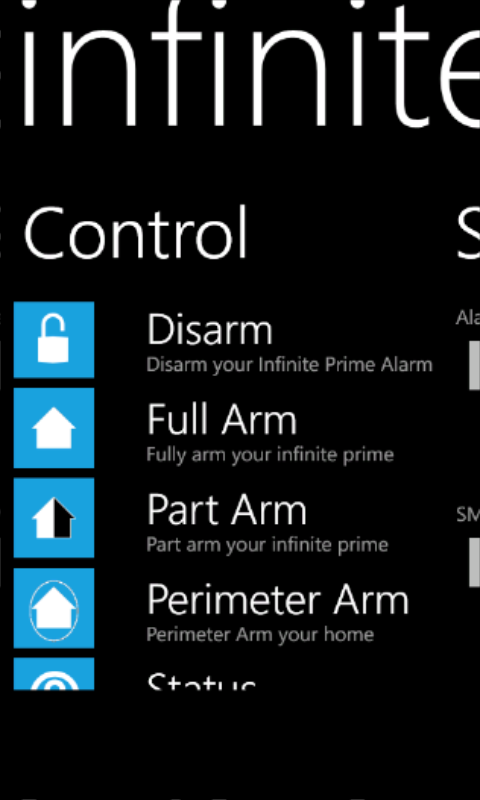 Infinite Prime Control v2.1.0.0 has finally been released on the windows phone marketplace. I’ve been doing a little more work on this over the last week and it’s nearly ready for release. This will hopefully be out within a week or two depending on any last minute changes and time for marketplace certification. The release version has now had 197 downloads to date and not one review! If anyone who has downloaded this is reading this and finds the app useful, please take the time to fill out a review. 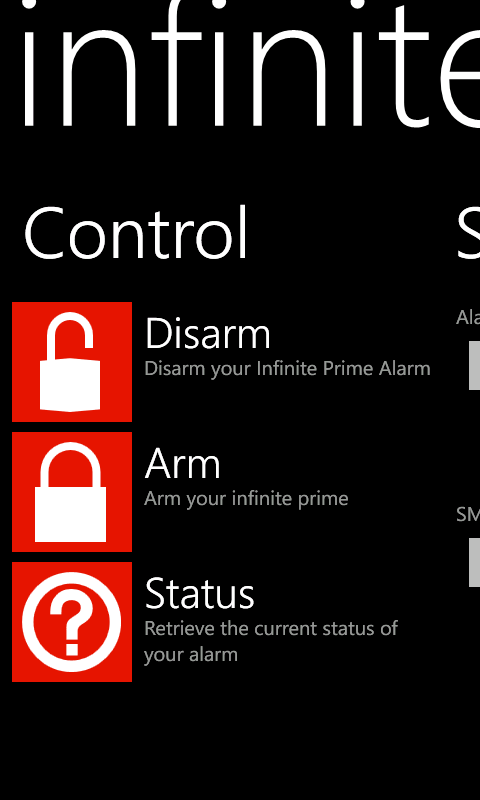 I’m currently adding in part and perimeter arming and am open to suggestions as to what else might be useful to people. 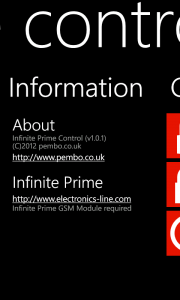 Its had around 72 downloads from the windows phone marketplace in just over a month – which isn’t too bad considering that it is only useful if you do indeed have an infinite prime alarm! 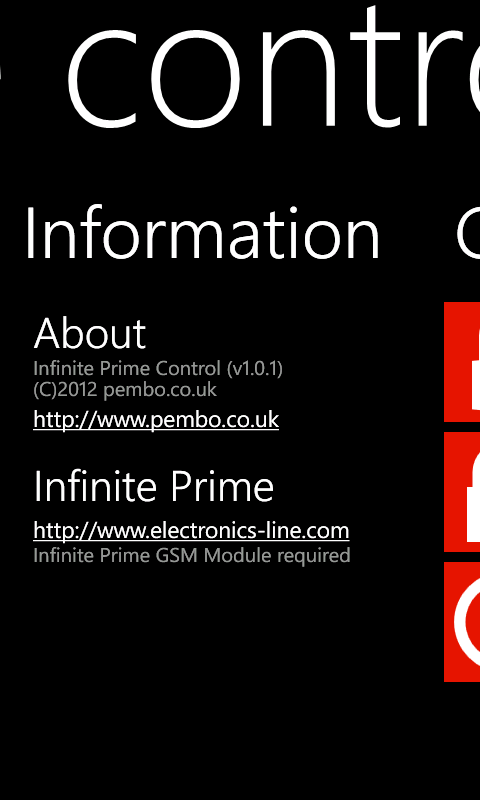 My first windows phone app is now available in the windows phone marketplace. 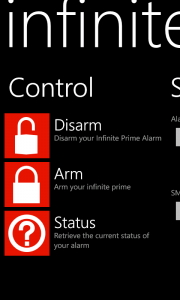 The app is called ‘Infinite Prime Control’ and its purpose is to construct the correct format text messages in order to control the infinite prime burglar alarm control panel. 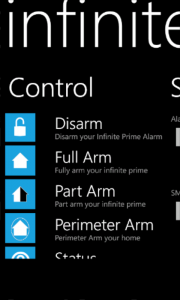 The infinite prime panel from electronics line is an excellent wireless alarm system that when paired with the GSM module, allows control via SMS messaging. 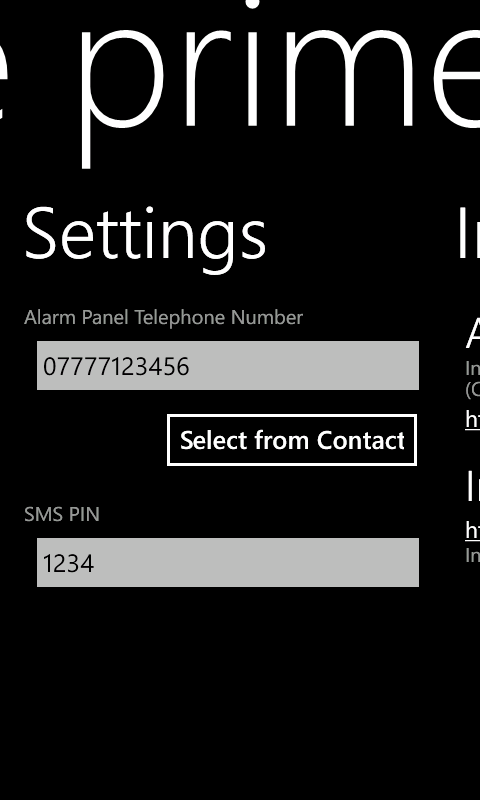 check the status of the alarm. 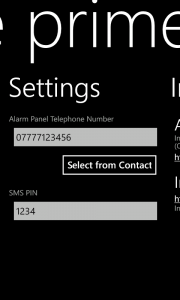 Due to security restrictions in WP7, it is not possible to transmit or receive/process text messages in the background, so it constructs the relevant format text message and then presents this to the user to send.